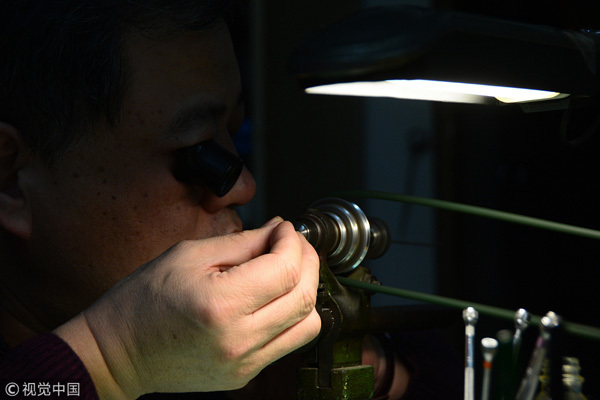 China's watchmaking industry reached a milestone recently when it got a watch movement certified as a "chronometer". The watch, from the Shancheng brand, manufactured in Dianjiang county, in Chongqing municipality, was issued the chronometer certificate by the Glashutte Observatory in Germany, according to an announcement at a news conference in the Great Hall of the People in Beijing on Monday. A chronometer is mechanical timepiece tested and certified to meet high precision standards. According to the China Horologe Association, the standard set by the Chronometer Observatory at Glashutte is the world's most rigid. The observatory has seven testing categories, and only allows a mechanical watch a deviation ranging from minus 3.8 seconds to plus 5.8 seconds within a day. Separately, COSC, the world's best-known mechanical timepiece certificate system based in Switzerland is only open to Swiss watches. Speaking about the achievement, Zhang Hongguang, the director-general of the China Horologe Association, says: "It (the certification) shows that Chinese mechanical watch manufacturing has attained a high standard." Meanwhile, statistics from the association show that in 2017 about 1.07 billion watches, or 83 percent of the world output, came from China, but in value terms the output was only 21 percent of the global figure. Explaining the disparity, he says:"A lack of top-tier movements is why Chinese watchmaking lags behind the best countries in the field. 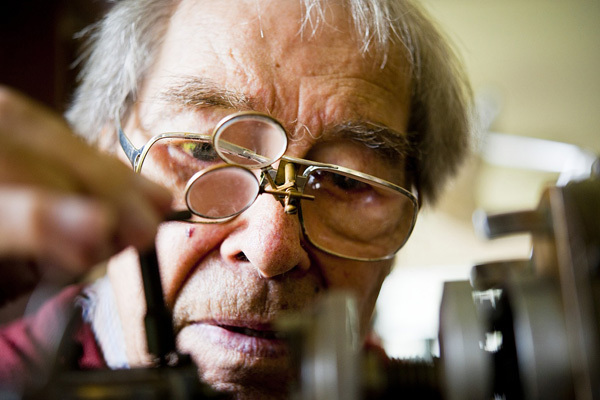 "They (the movements) are not precise enough for high-end watches. But, a made-in-China chronometer will help the Chinese." He also says that accurate time devices are crucial for key infrastructure facilities like airports, high-speed trains, aerospace projects, and national defense. Speaking about the watchmaking sector in China, Zhang says: "The achievements of the industry in recent years have helped us to break the monopoly of foreign products. And, a chronometer will build more confidence." Zhang also says that as of now 64 countries involved in the Belt and Road Initiative use Chinese time devices for their railway systems and other public services.